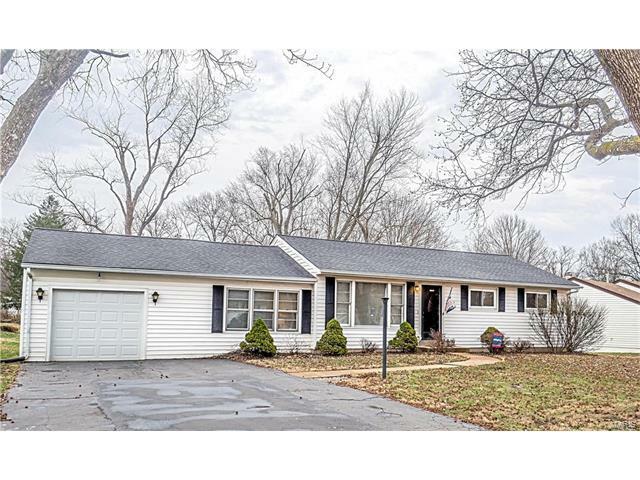 Welcome Home to This Charming Updated 3 Bedroom Ranch on Nearly an Acre of Picturesque Land. Located on a Quiet Cul-De-Sac in the Heart of Ballwin. The Inviting Floor Plan Offers Living Room/Dining Room Combo w/Beautiful Hardwood Floors, Which Leads to the Cozy Family Room for Added Living Space. The Updated Kitchen is Light & Bright w/White Cabinets & Newer Appliances. This Lovely Home is Move in Ready. The Full Basement is Just Waiting For Your Finishing. There is a Spacious Covered Patio, Great for Outdoor Gatherings Even if the Weather Doesn't Cooperate. You Have to See This Unbelievable Level, Private Yard to Appreciate All It's Beauty & Tucked Away in a Very Private Subdivision in Award-Winning Rockwood School District & Close to Shopping, Restaurants, Parks, & All the Wonderful Amenities Ballwin Has to Offer. There is Also a New Roof & Furnace Note: Carpet in Entry to Bedroom is Being Professionally Repaired.